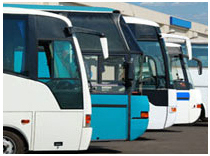 Getting around Freeport, Grand Bahama is easy and cost effective. Various forms of transportation are available. Rental cars, motor scooters, buses and taxis – even water taxis – are the most common means of public transportation. Bicycles are not always available to rent, although some hotels will offer them to their guests. For about $5 per person, you can ride a water Taxi from the Flamingo Bay Hotel and Marina to Treasure Bay Casino and Port Lucaya Marketplace. Some, but not all, hotels offer transportation for getting around. Flamingo Bay Hotel and Marina providing a ferryboat that leaves their the dock every hour on the hour going into Port Lucaya from 8:00am -11:00pm. The cost is $2.50 one way per person. Taxis in Freeport are easy to find, and they are generally quicker and easier than driving on your own. However, be aware that some cabs are in poor condition, and some roads as well.